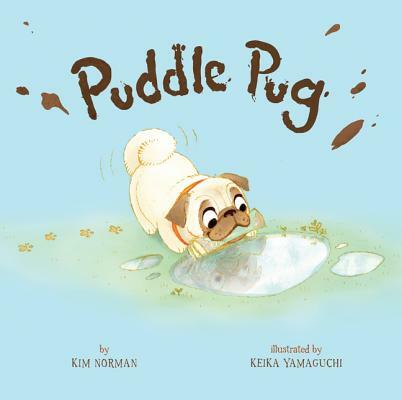 Kim Norman is the author of several children's books, including Ten on the Sled and If It's Snowy and You Know It, Clap Your Paws!, both illustrated by Liza Woodruff; Crocodaddy, illustrated by David Walker; and The Great Christmas Crisis, illustrated by Jannie Ho (all Sterling). She and her husband live in Smithfield, VA, and have two grown sons, as well as a "granddog," Niles, the Newfoundland, who is MUCH bigger than Percy, but who loves puddles just as much. Visit Kim online at kimnormanbooks.com. Keika Yamaguchi graduated from the Art Center College of Design in Pasadena. A former Walt Disney Imagineering intern, she illustrated the children's book Sick of Being Sick (3DAL), written by Justin Sullivan. Besides her dog, some of Keika's other interests are "YouTubing," craft projects, pop-up books, and extreme sports. Visit her at keikashouse.com to see more of her work. She lives in La Crescenta, CA.